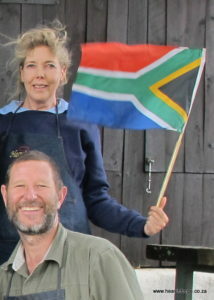 Heather and Kevin Harvey, proudly South African. founder members of the Southern African Bladesmiths Association. We were the the only married couple Mastersmiths, when we attained our M.S stamps in 2003. Heather became the second lady Master Bladesmith. There are now four ladies and one other married couple Mastersmiths, worldwide. We are the only Master Bladesmiths on the African continent. 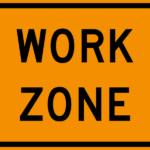 We are currently improving our website. You might find some pages looking different than when you last saw them, or -occasionally- things might look 'funny' for a short time. We hope you enjoy the final result! 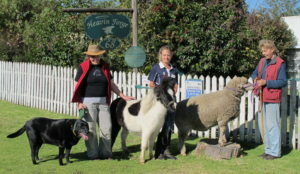 Both Kevin and Heather are authorised instructors in Bladesmithing with the American Bladesmith Society. 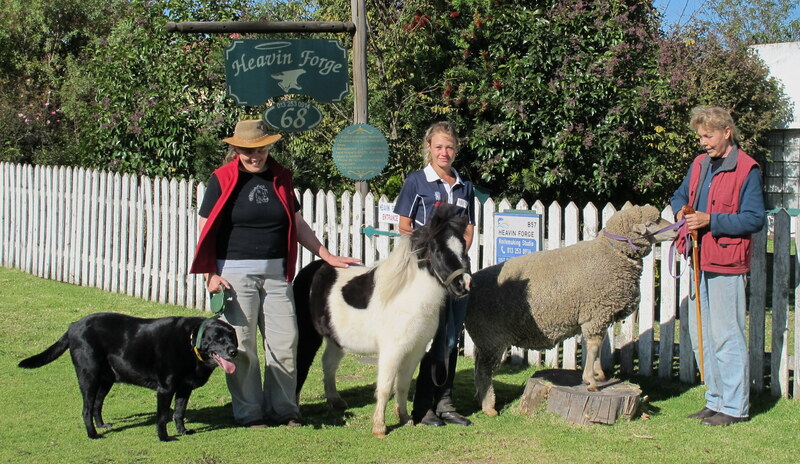 Regular classes are presented at their Heavin Forge Bladesmithing Studio and School in South Africa. 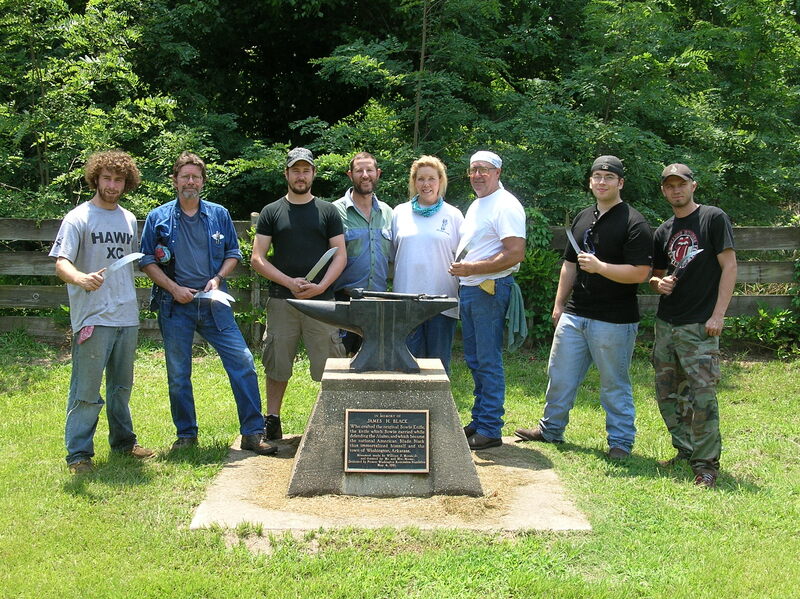 The two have also taught at the Bill Moran School of Bladesmithing in Old Washington, Arkansas, U.S.A. Heavin Forge, our bladesmithing school, is one of seven ABS recognised schools in the world with five of them being in the U.S.A, one in Belgium and Heavin Forge in South Africa. "Gold Crocodile" - Kevin Harvey. Kevin specializes in collector grade Bowies with an old style flavour using predominantly natural handle materials and made from his own Damascus steel. He also makes daggers and fighters regularly. More recently he is embellishing work with his own engraving and his sheaths are distinctive, often using exotic leather inlays. Among his most remarkable awards are the BR Hughes award for best knife submitted for review by a new Mastersmith applicant and the Historic Bowie Knife Association award for best Bowie by a Master Bladesmith at the Atlanta Blade Show. 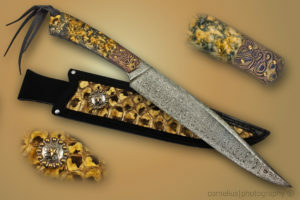 In South Africa, he has twice won Best Knifemaker on Show and numerous awards of excellence for knives in Fighter, Dagger and Historical categories. On one occasion even Best Art Folder - an unusual entry for Kevin. 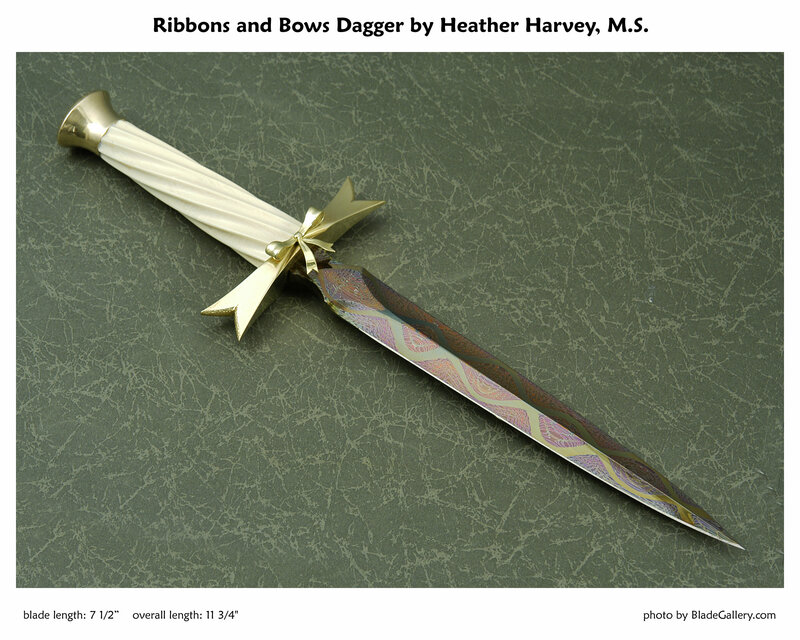 "Ribbons and Bows" Dagger - Heather Harvey. Heather particularly enjoyed making traditional African weapons which included spears, sickle swords and axes in her own Damascus steel. One of her assegais (Zulu spears) was used on the cover of renowned author, Wilbur Smith's book "Assegai". Wilbur Smith also used one of her African Swords on the cover of the reprint of his first book "When the Lion Feeds". She also made primitive "Mountain Man Folders" usually with an old coin on the handle. 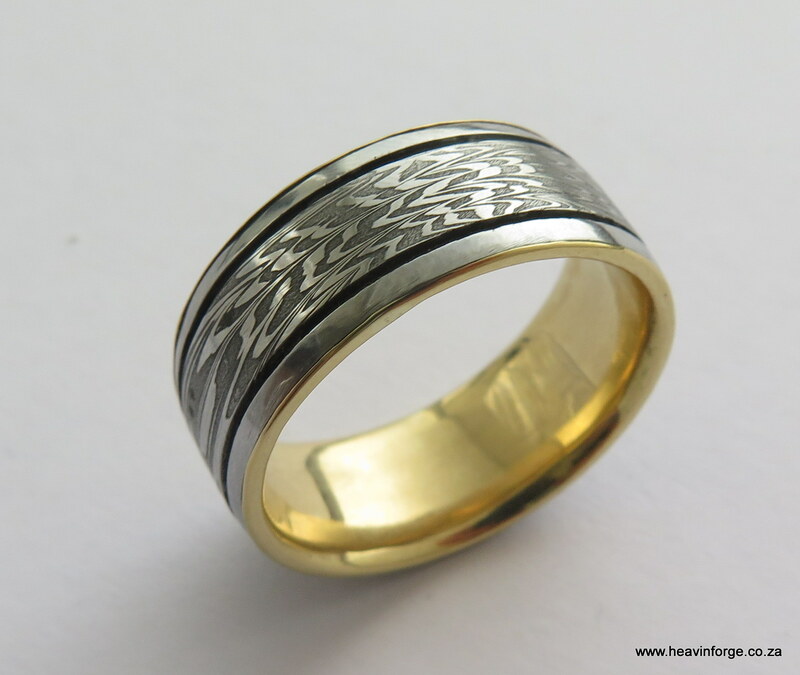 She also made wedding bands and other jewellery from her Damascus. 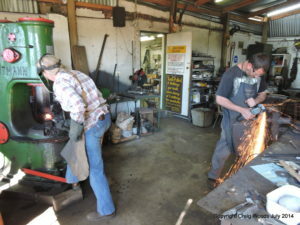 "Made and enjoyed" in the past tense as she is no longer able to work in the forge due to permanent injuries to both hands.Their work has been published in many knifemaking books and publications. Heavin (Heather and Kevin) making damascus. Photo - Craig Woods. 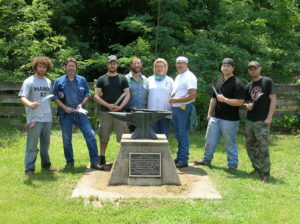 Teaching bladesmithing is their passion. Not only do they teach at their bladesmithing school, they also share their passion with bladesmithing/blacksmithing clubs in South Africa and the U.S.A. They both won the "Chairman's Award" in 2015 from both the American Bladesmith Society and the Knifemakers' Guild of Southern Africa, for their work in promoting the forged blade and their efforts in continually teaching and setting up the Bladesmithing School in South Africa. 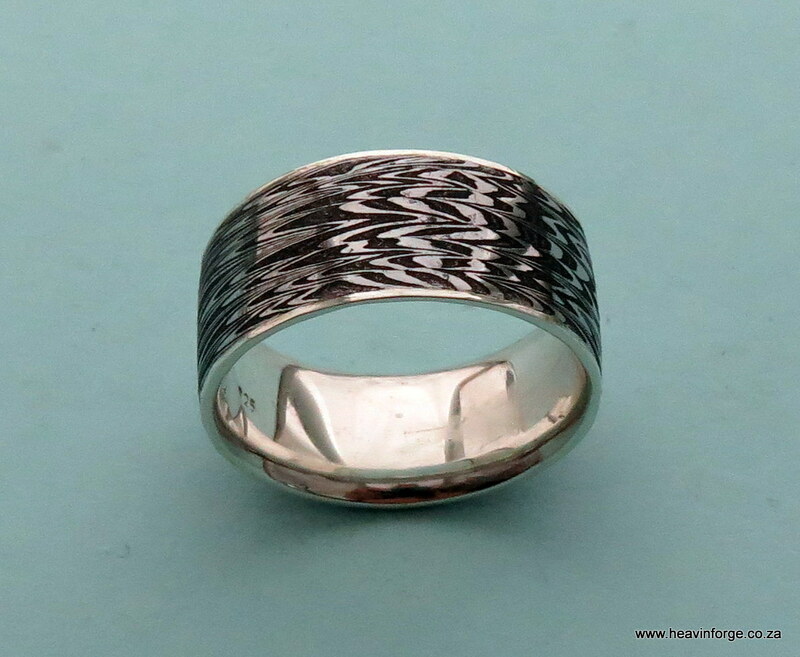 Although we do not accept orders for knives or damascus steel billets, we do accept orders for damascus steel rings. 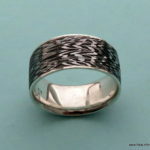 Here are a few that we have made recently. 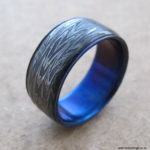 Please look at our page for more detailed info on ordering your unique ring or to view the ones we have in stock for sale. 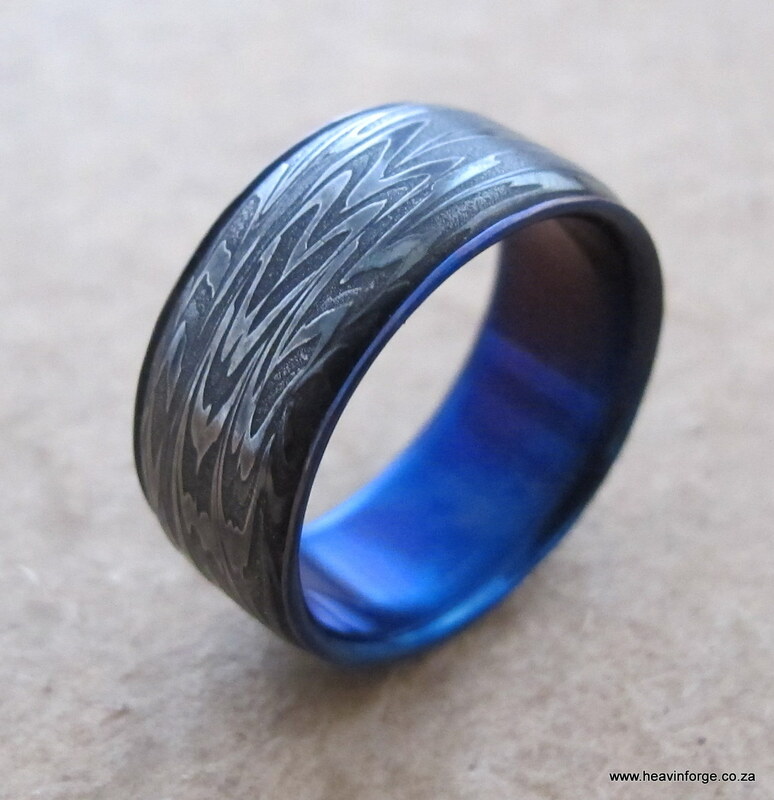 Medium Feather Pattern damascus ring with heat coloured titanium sleeve. 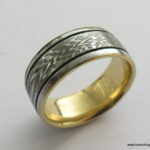 Medium Feather Pattern damsacus ring with masked off edges and gold sleeve. Sold.